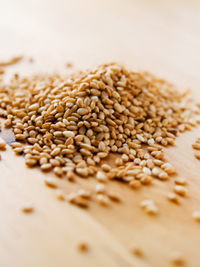 Sesame seeds and sesame seed oil are used for food and skin care and have a rich tradition of medicinal use. Sesame seeds are used in Chinese medicine as a treatment for hair loss, and as a liver tonic, according to pharmacognosist Albert Leung, Ph.D. Both ginger root and sesame are invigorating to the scalp and can stimulate hair growth. For a ginger oil treatment, grate fresh ginger root and mix it with sesame oil. Massage the ginger oil into your scalp and leave it on for about 10 minutes. Rinse and shampoo your hair. Sesame oil is great for stir fry dishes and Asian cuisines. The oil has rich golden color, with a bold, nutty flavor. 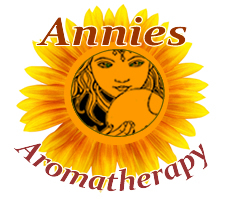 Sesame oil is naturally active in vitamins A and E and essential proteins and is a stable carrier oil for aromatherapy and home cosmetic use. Preparation Methods & Dosage :Whole seed, often dry toasted or steamed just prior to use. Tahini is a paste made of ground sesame seeds which is used in many Near and Far East recipes. In the Kitchen: Sesame seeds are a rich source of calcium and can be part of a healthy, bone enriching diet along with yogurt, broccoli, cauliflower, salmon, tofu, almonds, and leafy green vegetables. 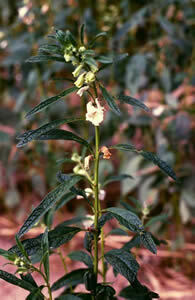 Sesame Side Effects: Sesame is a gentle laxative, avoid if you have diarrhea. Seeds: oil-rich seeds, which come in a variety of colors, from cream-white to charcoal-black. Seeds grow in pods, which burst open at maturity, giving rise to the phrase "Open sesame"
Sesame was first domesticated in India, there is archeological evidence that it was cultivated at Harappa in the Indus Valley between 2250 and 1750 BC. It was mentioned in the "Divine Husbandman's Classic of the Materia Medica", the seminal Chinese medicinal text written over 2,000 years ago. Sesame seeds were introduced to the US by African slaves.